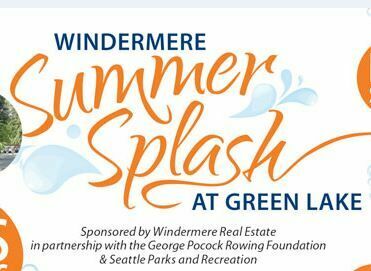 Windermere Summer Splash is jam-packed with family-friendly fun! Visitors of all ages can enjoy food from an exciting lineup of vendors, watch a rowing regatta featuring local corporate teams, and try their hand at various water sports like canoeing, kayaking and paddle boarding. Bring your kids, grandkids, and dogs on down to Green Lake for some fun in the sun! The Corporate Cup Regatta is an unforgettable way to promote health and wellness among your employees and try out one of the fastest-growing sports in the world. Pull your corporate team together to compete in this fun event while raising money for a good cause. All are welcome. No experience necessary! Teams are led by veteran coaches to prepare you for race day. Bragging rights and a chance to claim the Corporate Cup trophy are at stake!